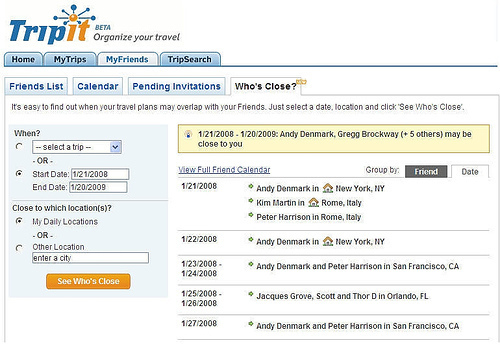 One implementation of the "Who's Close" feature looks a lot like the Facebook news feed for your friends and contacts travel plans (shown below). I have used TripIt in the past and love the ease of use. I think it might be interesting and useful to see where other travelers are located. 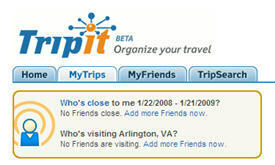 It also might be interesting if TripIt could work with Dopplr, another travel social network, since they focus primarily on keeping your contacts travels plans on your radar.